The phenomena that arise in systems of interconnected and interdependent elements and multiple dimensions. This article is part 10 of a series of articles featuring the ODI Working Paper Exploring the science of complexity: Ideas and implications for development and humanitarian efforts. The starting point in understanding complexity science is the idea of a complex system. All systems are made up of elements and processes that make up a whole. A complex system is one made up of multiple elements (which may be elements or processes) which are connected to and interdependent on each other and their environment3. Complex systems are also characterised by multiple variables, or dimensions, which are interconnected and interdependent. Complex systems frequently have multiple levels of organisation. The degree of connectivity between these elements, dimensions and levels has a profound influence on how change happens within the broader system. Interconnectedness may occur between individual elements of a system, between sub-systems, among systems, between different levels of a system, between systems and environments, between ideas, between actions, and between intentions and actions4. This interconnectedness leads to interdependence between the elements and the dimensions of a system, and gives rise to complex behaviour. Stuart Kauffman of the Santa Fe Institute has developed a formal framework called Boolean Networks5, which shows that at the heart of all complexity phenomena there is a network of elements and dimensions. The number and nature of connections between elements was proved to be a crucial feature that determined the behaviour of the overall system. The relationship between interconnectedness, interdependence and complexity is simply and powerfully illustrated with reference to the metaphor of a sandpile (following Bak and Tang6). Imagine dropping sand, a grain at a time, onto a flat surface. Eventually, a pile will start to form; as further grains are dropped, a pyramid of sand grains will form. During formation of the sandpile, grains will land so as to touch other grains in a way that forms stable interactions within the pile, leading to increases in the size of the pile. As more grains are added, different parts of the pile will become increasingly complex, owing to the increased connectivity between grains in different areas. Some grains will be positioned in such a way that, if hit by other grains, they will move with minimal disturbance of the surrounding grains. The vast majority of the sand grains will be loosely connected with the other grains. By contrast, there may be some very highly connected grains, whose influence is wider, but these will be far less common. The pile evolves naturally to a condition in which a single grain has the potential to trigger a domino-like reaction of tumbling grains that can sweep through the entire pile. As the sandpile continues to build, avalanches will start to occur. Given the above, it should not be surprising that there will be a greater frequency of small avalanches and a smaller number of large avalanches7 What makes one avalanche much larger than another has nothing to do with its original cause, and nothing to do with some special situation present in the pile just before the avalanche starts. Rather, it has to do with the perpetually unstable organisation of the critical state, which makes it always possible for the next grain to trigger an avalanche of any size. Of course, the sandpile is a rather static and small-scale example – in the real world, events both inside and outside the system can cause radically different outcomes8. Relating this to the sandpile, the longer a critical state builds up in an economy, the greater the potential for a serious ‘avalanche’. For example, mortgage mis-selling resulting in defaults in the US sub-prime mortgage market leading to massive impacts on the global economy represent a vivid and very real demonstration of this effect. The entire global financial market is connected, and instability at the lower end of the US housing market is having a profound – and, at time of writing, still unpredictable – effect on the economies of countries all around the world. The coupling of the system has an effect on its adaptability to the environment and its potential to survive, and therefore defines its fitness. 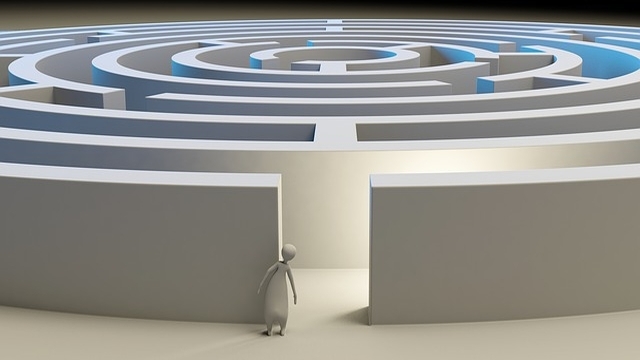 Complexity science proposes an interesting perspective on the fitness of organisations and sectors based on the tradeoffs of loose or tight coupling. Loosely coupled systems may contain certain problems owing to their lack of connectivity. However, there are also benefits, in that the elements in such a system have more independence than in tightly coupled systems because, almost by definition, they can maintain their equilibrium or stability even when other parts of the system are affected by a change in the environment. This builds the resilience of the system, an idea that will be covered in more detail in Concept 8 on adaptive agents. The components of loosely coupled systems may also be better at responding to local changes in the environment, since any change they make at the local level does not require the whole system to respond. The dimensions of a system are also important to consider. For example, any country can be seen as a system made up of a number of interconnected elements and levels, from cities, towns, villages and communities all the way to individual citizens. In addition, human societies have social, cultural, physical, technical, economic and political dimensions13, all of which are intricately intertwined. The degree of connectivity between these elements and dimensions has a crucial impact on how change happens within a given country. The previous example highlights the fact that complex systems are also frequently made up of nested hierarchies or levels. These are unlike hierarchies in organisations, which are linked to authority and status; instead, these relate to sub-systems within an overall system – or hierarchies of scale. For instance, individuals are parts of families, which are parts of neighbourhoods or villages, which in turn make up larger communities and so on. This means that an initiative, such as improving public hygiene, taken on any given scale – say a neighbourhood – has implications for other higher and lower levels of the same system – for example, citywide water supply infrastructures and individual family behaviour14. In addition, where there is a high degree of interconnectivity and interdependence, different elements and dimensions at different levels of a system can feed back into each other, constraining, driving and influencing changes at other levels. Holland15 uses the example of the discovery of ‘pressure fronts’ that drive the daily weather to illustrate the importance of looking for interlocking mechanisms that shape complex systems at different scales and levels of detail. This interconnectedness and interdependence of elements and dimensions of a complex system questions the traditional social and political science approach of identifying cause and effect relationships and generating hypotheses about dependent and independent variables, thus explaining the nature of a range of phenomena16 17. The complexity of real world systems is not always recognised and acknowledged. This has been highlighted by the work of Russell Ackoff18, who suggests three different kinds of problems faced by scientists and policy makers, and ways of dealing with them. The first level, messes, relates to systems or issues that do not have a well defined form or structure. There is often not a clear understanding of the problem faced in such systems. Such systems often involve economic, technological, ethical and political issues. Ackoff suggests that all of the really important issues in the world start out as messes. For example, how will rising HIV/AIDS incidence in China be dealt with? This concerns money, technology, ethics, social relations, politics, gender relations, poverty, and all of these dimensions need to be dealt with simultaneously, and as a whole. The next level is problems, which are systems that do have a form or structure, in that their dimensions and variables are known. The interaction of dimensions may also be understood, even if only partially. In such systems, there is no single clear cut way of doing things – there are many alternative solutions, depending on the constraints faced. For example, dealing with the sewage system in a particular city may rely on amount of money available, technology, political stance of leaders, climatic conditions, etc. The final level is a puzzle, which is a well defined and well structured problem with a specific solution that can be worked out. In much of modern science and policy, Ackoff identified a bias towards ‘puzzle solving’. 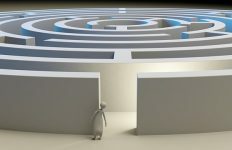 He argued that the real-world, complex, messy nature of systems is frequently not recognised, leading to simple puzzle-based solutions for what are in fact complex messes. As one thinker puts it, one of the greatest mistakes when dealing with a mess is not seeing its dimensions in their entirety, carving off a part, and dealing with this part as if it were a problem and then solving it as if it were a puzzle, all the while ignoring the linkages and connections to other dimensions of the mess19. Complex systems are far harder to model and analyse, especially when considering social, economic and political phenomena. This carries cost implications – in terms of time, money and skills – that are far from trivial. However, these need to be balanced with the possibility that when dealing with complex systems, linear cause-and-effect thinking may in fact be useless. More may be learned by trying to understand the important patterns of interaction and association across different elements and dimensions21. For more on this, see concept 6 on Phase space and attractors. In a study of the global construction industry, individual projects are shown to be tightly coupled systems, owing to the conditions in temporary networks that form to ensure delivery against contracts. The prominent couplings in such contractually driven networks are twofold. There are technical couplings – which occur between technologies, tasks, roles – and authority couplings – which occur between positions, offices, rewards and sanctions and which work to hold the project system together. The project task is to handle the activity interdependence arising when standardised resources are adapted to local conditions by actors. However, these actors strive for independence beyond the scope of individual projects. The tight couplings in the temporary project systems occur within the broader, loosely coupled but permanent, system of construction firms. Collective adaptations by the firms in the industry have served to provide a means to cope with the tight couplings required in each construction project, whereas the loose couplings provide the slack needed to maintain flexibility. The pattern of tight and loose couplings can be interpreted as a means of coping with the prevailing complexity in construction operations. The combination of the tight couplings in individual projects with the loose couplings in the permanent system makes it possible to come to grips with both uncertainty and interdependence. Deeper analysis of this reveals that the behaviour of firms differs considerably from what is common in other industries, especially in terms of the absence of inter-firm adaptations. In particular, it appears that the loose couplings in the permanent network together shape the slack that is necessary in order to handle the tight couplings in projects. The focus on individual projects, the use of standardised components, the local adjustments and the multiple roles played by firms allow both for handling complexity in individual projects and for securing economies of scale in manufacturing. One important conclusion is that ‘the number of possible permutations and combinations of specific places and entities is enormous, even for one product’. The complexity of construction operations and the subsequent problem-solving capability needed is perceived to be formidable. The overall conclusion is thus that the behaviour of the industry seems to be an appropriate response to the inherent complexity of construction projects. Why might this be the case? From the perspective of a complex system, there are many connections and interactions within the various dimensions of economic and social development, such as between education and the economy, between health and poverty, between poverty and vulnerability to disasters, between growth and environment – the list is literally endless. International aid to address these issues takes place in the context of a dense and globalised web of connections and relationships between individuals, communities, institutions, nations and groups of nations. Interactions among the various elements of these different systems are themselves complex and multifaceted. Aid relations run alongside many other kinds of international relations: military and security relations, relations of economic cooperation and trade competition. Naturally, these wider relationships have an effect – often a profound one – on the aid-related relationships that exist between countries. If that were not enough, every aid agency operates in a global aid system which is itself characterised by a huge number interacting systems, each of which is made up of multiple parts23. There are a bewildering number of different relationships and interactions between bilateral aid agencies and multilateral agencies, between multilaterals and country governments, between aid agencies and communities, among neighbouring communities, between NGOs and governments, and among an increasing number of ‘non-traditional’ development actors such as the media, diaspora communities and the military. 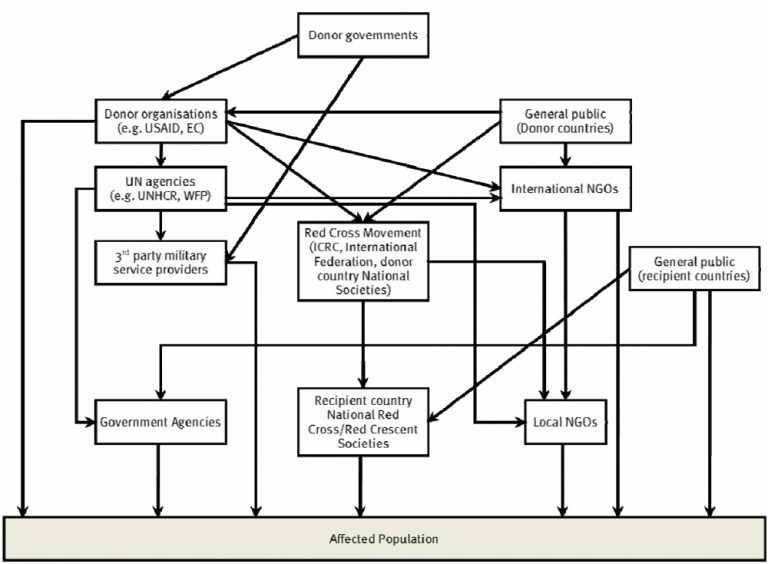 Figure 1 conveys some of this complexity by illustrating the principal routes of resource flows within the humanitarian aid system. Given the above, perhaps the primary implication of seeing international aid through a complexity lens is that aid agencies need to be very careful not to oversimplify the systems being dealt with, whether talking about the developing countries in which they operate to reduce poverty and alleviate suffering, or dealing with the international aid system itself. For example, research has illustrated that, at the heart of many disasters, there are seldom single causes but instead many interacting and interdependent dimensions and factors24. Famine can be caused by drought, a rise in the price of grain, a drop in the price of livestock, inadequate road infrastructure, a lack of food aid, or by all these factors simultaneously25. Despite this level of complexity, a bias towards and reliance on simplistic models pervades the aid system. For example, a study on drought-related work in the Sahel identifies that many analyses tend to divide causes into immediate and structural factors, with the structural issues largely ignored in agency responses26. Figure 1. The complexity of aid flows in crises (source: www.oecd.org/development/evaluation/2667294.pdf). The argument for a more holistic approach to problems has also been made on the developmental side of the aid system, among thinkers who argue that the ‘multidimensionality of poverty’ would be better recognised by those designing and evaluating development interventions. The starting point is that a large number of factors that lead to poverty need to be considered in development work. These dimensions include income consumption poverty, deprivation of capabilities linked to health, education, mortality, under-nourishment, illiteracy and participation in the activities of society, which involves freedom, social inclusion, employment, dignity and human rights27. These dimensions relate and interact in a dynamic fashion such that, when attempting to address the problem of ‘poverty’, it may not be possible to deal with each dimension in isolation, or to quantify the effects of an intervention in terms of direct ‘impact’ on the targeted ‘dimension’. The implications of complexity for targets is covered in more detail in Concept 10 – at this stage it is important to note that there are inherent dangers that overly focusing on one dimension may pave the way for indirect effects to produce negative trends in the others. Different perspectives on what the system is also need to be taken into account. Those who are being affected by aid initiatives need to be part of the process of identifying the important elements of the relevant system, as well as defining the problems and their solutions28 29. As there are many perspectives on how to understand the complex social, economic and political contexts of aid work, it is important to bring together as many of these as possible in order to gain a rich picture of constraints and opportunities. This means that the practical, social and institutional dimensions should be of as much concern to aid agencies as the scientific and scholarly concerns. If development and humanitarian work is to incorporate properly the concept of a system of interconnected and interrelated elements, dimensions and levels, it may be that both qualitative and quantitative data should be used to gain insight into phenomena – no mean task – and that the task of selection and synthesis becomes as important as analysis30. This will require learning to distinguish between messes, problems and puzzles, and being clear about the kinds of problems that can be handled with what might be termed ‘conventional’ perspectives, where precise prediction and solution is possible, and the kinds of problems associated with unavoidable complexity, where different kinds of approaches may be needed31. As has already been suggested, explanations of phenomena based on linear cause and effect are often not viable in systems that consist of numerous interdependent relationships. This means that approaches that have more in common with historical research may prove useful. Instead of asking questions such as ‘did x cause y?’, these methods acknowledge the complexity of the real world, asking ‘what happened and why?’, thereby moving towards building narratives about events and processes32. carries interesting implications for the aid system, which appears to be both loosely coupled in some respects and tightly coupled in others. There may be aspects of the system that are extremely tightly coupled in relation to a particular issue – for example, the influence of changes in donor policy on implementing agency practices highlights a high degree of interdependence and coupling between the attitudes of donors and implementing agencies. The knowledge that, in this tightly coupled context, changes can occur in a dynamic fashion may be one explanation for increasing risk-averse behaviours within international agencies. In these areas, systematic change initiatives may continue to be frustrated because of the limited scope for planned actions to change loosely coupled parts of systems. 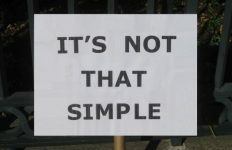 If it is ‘convenient’ to try and solve real world problems as if they were merely isolated problems, rather than interconnected and part of a longer-term process, what kind of convenience are we talking about? Is it analytical, institutional, political, or a combination of all three? Whatever the answer, this perspective implies that it may be unlikely that international aid agencies will be able to incorporate a more holistic, complexity-oriented understanding of the delivery of assistance in the near future. Next part (part 11): Concept 2 – Feedback processes promote and inhibit change within systems.